Who doesn’t love unlimited food, around the clock entertainment and almost daily visits to new countries? These are just a few of the reasons why cruising has become one of the most popular ways to vacation with 22.1 million passengers cruising worldwide in 2014. With all the sailing opportunities, it’s important to make the most of your time and money. That’s why we put together these 22 Norwegian Cruise Line Tips and Tricks. Don’t miss a chance to experience all that NCL has to offer! I’ve written a more detailed article on ways to save on booking a cruise that is worth a read. 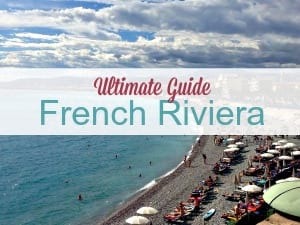 Many of these tips are the same for all cruise lines, so it’s a great article to start off with before you book. However, there are a couple of tricks specific to NCL. First, sign up for the NCL newsletter and you will be notifiedof special offers. Each email will include any available discount, bonus or special available. It is common for NCL to run “Free at Sea” offers. Depending on the promotion and the room category you book, you can get 1 to 4 free offers per cruise. These typically include a free Ultimate Beverage Package, free Specialty Dining Package, free Wifi Package or a cruise excursion credit. Pairing these offers with a cruise sale can add up to huge savings. NCL also offers Military and AARP discounts for those that qualify. 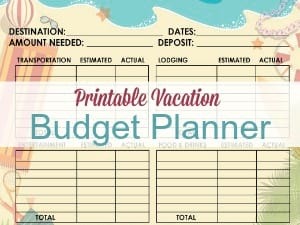 Download my FREE Printable Cruise Planner to keep all your trip details organized! Alcohol can be expensive on board cruise ships. Purchase a bottle while on board and have the NCL staff cork it if you can’t finish the entire bottle. At dinner, they will label the bottle with your name and cabin number, so you can enjoy it the next night. You can also bring your own bottle of wine. You’ll pay a $15 corking fee for a 750ml bottle upon boarding. No other alcohol can be brought on board. Wine Policy – Yes, guests may bring sealed bottles of wine on board for personal consumption. They will be checked prior to embarkation and a corkage fee applied at that time of $15.00 USD for a 750 ml Bottle or $30.00 USD for a 1,500 ml Magnum bottle. Box wines are not allowed on board. If guests do not wish to pay the corkage fee, the wine will be held onboard and returned to the guests at the end of the cruise. Update: Guests are no longer allowed to bring water and soda on board. Bring a reusable water bottle to fill it up on the ship and carry it around with you while exploring the port. There’s no “open container” rule on board the ship. You can walk around the vessel with drinks or bring drinks from your cabin to anywhere on the ship. You can do the same with food, so grab an extra cookie or 3 and take it back to your room for later. Dining Monitors throughout the ship. The concept of freestyle cruising is a more informal approach to cruising. Instead of having a set eating time each evening, you show up at the restaurant whenever you want to dine. It’s pretty much like restaurants off the ship. That being said, you can end up with a wait at peak times. If you know in advance what time you would like to eat, make a reservation. This can be particularly beneficial to large parties. Use the flat screen TVs located throughout the ship to see which restaurants are open and the approximate wait times. This can help you determine where and when you want to eat. Also, don’t be afraid to order what you want. You can order multiple appetizers, choose two desserts or get a steak and fish. You’re not tied down to ordering one starter, entree and dessert. Ask to see the week’s dining menus ahead of time. This way you can plan specialty restaurants in advance. Once on board, view the weekly menu then book your dinners at the specialty restaurants based on the menus you don’t want to miss. See what specials are offered for booking specialty restaurants or getting a spa treatment. Keep your eyes peeled throughout the cruise for additional spa specials that often come up on port days. Running out of clean laundry? See if the ship runs a mid week laundry promo. This can be a great savings, especially if you packed light for the trip. Even if you miss the deadline and didn’t put your laundry bag out on time, call and ask if you can still get the special price. On our last cruise I realized, after getting back on the ship in the evening, that clothes we due out by noon that day. I made a quick call and they gave me an extension. *I can’t guarantee there will always be a discount, but it’s likely. Make sure your cellular phone is in “Airplane Mode” or that the cellular data is turned off before you set sail. You could end up with hundreds of dollars in at sea roaming charges if your phone preforms an automatic update or downloads new email. In the shower is a dispenser with free shampoo and body wash. I personally found the quality to be lacking, but if you aren’t picky about brands it’ll work for your trip. In each cabin, there is a stocked mini fridge with beverage that are for sale. Ask your room steward to remove the items so you can stock your own fridge. And you don’t want to accidentally be charged for something that you pulled out and put aside. If you are a Latitudes Rewards member, a commemorative lapel pin is available on your sailing. The pins are available by request only. Bring magnets for hanging cruise planners or a white board to leave each other messages. These are great for hanging on your stateroom door – inside or out. Bring highlighters for kids to mark activities on the daily cruise planner. Having a specific color for each person in your group is also advantageous. Staterooms can be dark at night and there isn’t a lot of room to move around. Purchase battery operated tea lights to place in the bathroom as a nightlight. This is particularly useful if you have kids. You can usually grab these at Dollar Tree. You can also purchase a lanyard for adults. I hate carrying around a purse while on the ship (through I’ve recently started carrying a wristlet), and my cruise clothes don’t always have pockets. The NCL cabins have both US and European adaptors. Maximize your charging capacity by bringing along a European plug adaptor. Don’t get stuck with wrinkled clothing. Hang your garment on a coat hanger and spray with wrinkle releaser. Hang the item in a steamy bathroom and your garment should look like it was just ironed. It’s imperative that you pay attention to ship time and bringing a watch is ideal while cruising. It’s good to know what time it is on the ship, but even more important while off and in port. You don’t want to miss the boat! You may change time zones during your cruise and your cellphone may not always keep up. On our most recent cruise, we were in Greece and didn’t have a watch. I couldn’t figure out if my cell phone displayed the right time or if it was still an hour behind. It was the wrong time for hours and when it finally changed, I panicked. What was the true time? Missing the ship would NOT be good. And speaking of not missing the ship, snap a picture of the “all aboard time” with your phone or camera in case you forget what time your supposed to be back on the ship. The ship is virtually deserts early on Embarkation Day. Prior to boarding, plan out your port and sea days. What do you want to see in each port? What excursions will you take? Get aquainted with the ship via the website diagrams, so you have some idea of where the “hot spots” are located. Where will you eat once you board the ship the first day? Then arrive early and take a tour. Cruise ships are HUGE so don’t spend your entire cruise walking around lost. NCL has a program called Latitudes Rewards that provides special offers to members. You can enjoy exclusive on board benefits, special discounts and more. Once you have completed your first cruise, you are automatically enrolled in the program. You don’t have to do anything and your rewards are automatic. Latitudes Rewards members will receive a monthly email with the Latitudes Insider Offer letting you know about special rates just for Latitudes Rewards members. Read all about the program HERE. 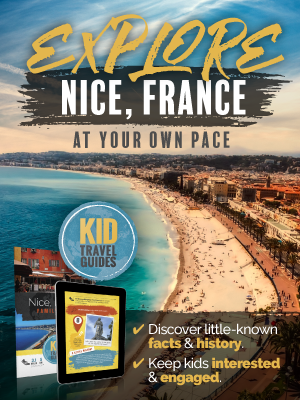 As with any cruise line, there are so many tips that are both specific to NCL and general cruising tips that are worth mentioning. 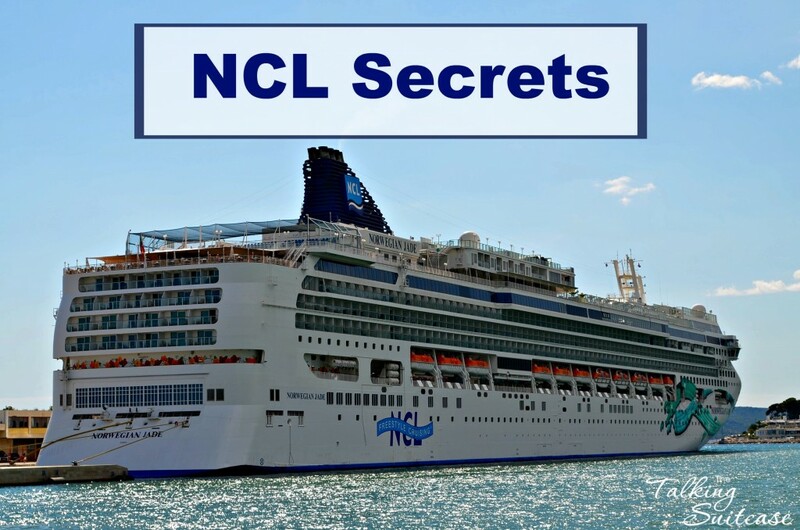 I hope this article has helped provided you with a few NCL secrets that you didn’t already know. If you’re not sure what cruise to take, read these six simple steps to pick the perfect cruise ship for your next family vacation. What other NCL secrets can you share? 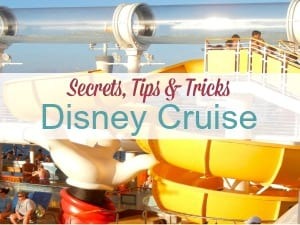 I’m sure that are more Norwegian Cruise Line tips and tricks that I have yet to discover. Norwegian Jade Rooms – What Does a Balcony Room Look Like? Is the NCL Ultimate Beverage Package Right for You? On the Bliss will we need to bring an extension cord for CPAP machine? I would bring an extension cord to be safe. You can request one from guest services but there isn’t a guarantee they will have enough available. If you need distilled water, call a couple weeks before your cruise to request this and an extension cord. They should offer it free. And it should be in your room upon arrival. I would just warn to bring the extension cord as it’s better to be prepared. Have cruised NCL and specifically the Pearl numerous times. I have always found the hair dryer in the room to be great…better than my own! Hairdryers are not on the banned list, but are already provided in your cabin so you can save the space in your luggage. Yes, I had a hairdryer but there was one in master bath and one in second bedroom? Something new on NCL Bliss … Ultimate Arcade Pass. Does anyone know which video games will be included in the pass? My guess is not bowling, basketball, or ticket games. Thoughts? I haven’t sailed on the Bliss yet BUT it’s “only valid with Green colored swipes”. These should be all the arcade type games with the exception of the type where you win something like the claw game or Stacker. Those are all red. I’ve looked through photos online and it looks like air hockey is green and the basketball game is green. Skeeball looks red to me so I don’t think it’s included. I watched a video and it APPEARS that the VR game is included. I also saw in a photo that looked like bowling was green too. Since it’s not located in the arcade, I can’t say for certain. I’d love for you to let us know which ones are green after you sail. Also, it’s cheaper to purchase before your cruise – $8 per day instead of $10. I’ve read that you can call and get it only for the kids too. But it’s not guaranteed this will work. I can’t find any information about what’s included/how many days, etc. on the NCL website, is this the same as the “ULTIMATE BEVERAGE PACKAGE $99.00, USD per person per day (adults age 21 and older).” which the only information I find regarding adult beverages. It will be for your entire cruise duration. When we sailed, our promo beverage package was the exact same as the Ultimate Beverage package. You’ll get soft drinks, beers, spirits, cocktails, wines by the glass and bottled or draft beer up to and including $15 USD during your entire cruise. Here’s a link to my older post on the beverage package. You won’t want to drink the water while on shore in Mexico. You can fill a bottle up on the ship to take with you or purchase water bottles while exploring. The water on the ship is safe to drink regardless of the destination. If I have the unlimited adult beverage package, does that include bottled water? I am going on my first cruise in April 2019 on the Jade. It is a 2 week cruise. How do you know if your trip includes the free Offers? I can’t remember if I selected any during booking but I see that NCL is running the special on their website. It should all be listed in your NCL account and on your printed documents. If you don’t see anything, I’d give them a call. They are usually running a special. Your room category will determine how many of the free offers you received. There usually isn’t a problem bringing on a small amount of snacks. You really shouldn’t need the snacks though as you can get food pretty much all day and into the night. However, we usually pack a few bars to throw in our bag on port days just in case the kids get hungry. 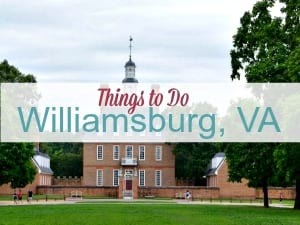 I usually pack some canisters of potato chips, packs of trail mix, packages of cheese peanut butter crackers and hard candies and gum. We keep them in the cabin for midnight munchies. We pack a few items like that to take off the ship. My kids have been known to grab an extra mini box of cereal at the buffet in the morning to keep in the room or a cookie from the buffet when they get hungry at night. We’re travelling on the Norwegian Spirit in two weeks’ time. As we are in a different port each day, i plan to stay on board one of the days. Are there activities to do onboard even on port days? Is there afternoon tea? We were on the Spirit earlier this year. Yes, there are things to do on the ship during port days. You’ll find the pool and hot tubs to be less crowded and there will still be activities planned throughout the day. Check the daily newsletter to see what is happening. If traveling with kids, you will have to check them in and out of the kids clubs. There is not an afternoon tea. Question last year I was on Carnival Vista they had 3 large bottles of water and each day replaced the used ones with new ones at no charge,does Norwegian Escape provided the same service? No, water bottles will be available in the room but for a fee. Hello, thank you for all the info provided! Do you know if they have an ironing room? No irioning room. You can bring wrinkle spray and spray your clothing then hang in the bathroom while you shower. I just purchased on Amazon (deal of the day) a mini handheld steamer for $15. If it works well I’m going to bring it on our upcoming cruise. Let me know how that mini steamer works out please! I’ve considered purchasing something like that, but wasn’t sure it was worth it. Don’t know about NCL, our small one got taken by security on our last Royal Carib cruise in March. I just looked back at NCL’s prohibited list. It might fall into the category of having a heating element. While not specifically mentioned, I’m thinking you will not be allowed to bring it on. But my hair straighteners not. As Marissa said there is no ironing room. We use the wrinkle releaser and steam from the shower trick. NCL offers a pressing service, but there is a fee of course. is the arcade use by the room key only or can the kids use money? Yep, as Marissa said, it’s room key only for the arcade. We give our kids a limit. They can also spend their allowance if they so choose. Are there laundry facilities on the Gem? You can send your laundry to be washed, for a fee. There are no self-serve laundry facilities. Be careful of what type of material you send to be cleaned. All laundry goes into high powered dryers. Nice- tip. Sometimes we do a bit of laundry in the sink. What is the earliest flight can I booked for my return home? NCL recommends allowing a minimum of 6 hours from the time your ship arrives. However, my upcoming cruise arrives at 5am and the ship still has to dock, clear customs and start unloading luggage. An 11am flight following that rule is still a risk. I would plan that you won’t get off the ship until at least 8am. I would never book at flight before noon. You never know if the ship will dock late or clearing customs takes longer than normal. You don’t want to be rushing or miss your fight. You’ll be held responsible for missing the flight, not the cruise line. Once you can finally can disembark – you have get your luggage, waiting the taxi line to get to the airport, check-in and get through security. The ship was held up by customs on our last cruise and we didn’t disembark until 8:45am even though we were group #1. If bringing a reusable water bottle onboard an NCL cruise, what kind of water am I filling bottle with? Is it filtered or out of the taps? Are there fill stations anywhere? Tap but ships have their own treatment plants onboard. There are filling stations at the bars for ice water, usually they have slices of lemon in them as well. I actually ordered a Brita water bottle with a filter on Amazon. 6 cruises and a 14 night coming up in January. Amazon also sells the replacement filters. Great investment. That’s a great idea! You can ask them to empty your mini fridge and have cold water in your room throughout the cruise. say the more expensive rooms are not filled, do you think if I asked them, they would upgrade us with out any extra cost? It never hurts to ask. Upgrades aren’t given very often but you could get lucky. I don’t see why it wouldn’t be. I haven’t read anything about it being excluded. As long as your not overloading outlets, I think you’ll be fine. We travel with a USB strip for our electronics and it wasn’t a problem on the ship. As of 4/18 – they NCL confiscated many power bars and portable fans. We got the power bar back at the end of the cruise. We were on the Pearl and there was honestly no need for a power bar. Outlets and USB hubs were plentiful. The power bar should have been allowed as long as they were sealed. We’ve taken a few bars on without a problem. Mostly to stick in our bag for port days. Was the portable fan large? Those aren’t on the list of prohibited items either. Thanks for letting us know about your experience on the Pearl!! can we bring water flavoring on the cruise with us? I don’t think bringing the flavoring packets would be a problem. Yes, NCL in particular does not frown on the powder, or liquid (Mio), options for flavoring your water. My son is a picky eater, therefore I supplement his diet with Pediasure. Will I be able to bring plastic bottles of Pediasure onboard? I don’t think this will be a problem. The cruise lines are pretty good about not giving you trouble bringing things on for the kids. I would pack it in your carry-on though. That way if they try to say something, you just tell them it’s for your child. Does anyone know if you have the ultimate drink package if those drinks in the refrigerator are free in your room? Does anyone know what the preauthorization amount for your credit card is per person or is it a flat rate? Does it vary by length of cruise? Someone else may be able to give you a definite answer, but my research shows a $300 preauthorization is typical. The information for debit cards and cash can be found at the link below but it doesn’t specifically mention the amount for a credit card. Yes but becareful. If your card allows you to keep charging it will continue and go over your limit. I say put cash on ur acct and add as necessary. Good point. If you’re concerned about overspending then paying in cash is a good idea. I usually check my account every couple of days to ensure I’m staying on track. This is all so helpful. Thanks to everyone with their replies. I will be sailing for my first time in November on the Norwegian Getaway and I am very excited but also want to know the in’s and out’s of cruising as to not be overwhelmed or in debt. I’m glad you’ve found the information helpful! Have an amazing cruise! Others may be able to chime in with more info specifically on the Norwegian Getaway. Many tips will be valid for all cruise lines. My hubby and I went on our 1st NCL cruise in September, and the one thing we couldn’t stress more…bring a reusable waterboottle!! Especially for when you go off ship…you might not want to drink the local water. And the mini fridge in your cabin will be fully stocked with alcohol and soda….have it removed unless you plan on purchasing it. Thanks so much for the reply Jenn! The ships way overcharge for water bottles. we went on an NCL in October 2017 and were provided with free water, 6 large bottles each. Thanks!! This is the first I’ve heard of this. I hope we’ll get the free water next month. That’s great. We sail in 3 weeks and hope we get that too! Can I ask what ship you sailed on? I know sometimes ships can differ in what the guests receive. We didn’t get free water bottles in our room on the Spirit. The juice and water from the dispensers is complementary. You can also request juice in the dining rooms. We always got ice water with dinner. This sounds like a great thing. Travel NCL and always bring a water bottle with us–this would be a nice bonus. We always ask our steward for ice deliver twice a day–that way we always have ice for cold water. Leaving in two weeks for back to back cruises–can hardly wait to get away from Snowmageddon 2018 in the Midwest! Have a great cruise! You definitely need to get away from the snow. It’s been a mess this year! So fun! July is coming up fast! Don’t they have bottled water on board? What is the need to bring a reusable water bottle? Also one of the other tips was to have the mini refrigerator emptied so you can stock it with your own stuff. I’ve never cruised so this is all new to me. What would you use it for? Thanks! The price for bottled water on board is ridiculous. This year they “reduced” the price to around $28 per 12-pack for bottled water. The water is still way over priced. On emptying the mini fridge, You can put in any wine you’ve brought on board, water bottles you filled up to keep cold and sometimes we even put an extra glass of OJ from breakfast in there to drink later. Previously you were allowed to bring on nonalcoholic beverages but that has changed. We always have them empty the mini-fridge, suggest they put bottles in a sealed bag under the bed to save them time and effort. We fill our own water bottles (not multiple) and keep them cold, along with any unopened beers from a bucket of beers ordered by us or other members of our group. You can also bring food back to the room and snack later, or for a midnight balcony visit. Going on our first cruise. So when the ship says be back at 5pm – that means 5 pm ship time, and not local port time???? Amanda, yes. You should actually plan on being back before final call- they will not wait for you. Yes! Be back on time. The ship will leave you! They will have a time for everyone to be back on board. It will be posted in your cruise planner and on a sign when you disembarked at the port. I always plan to get back at least an hour prior to the all-aboard time. It’s not worth missing the ship. You do want to make sure you’re back on time. No, guests are no longer allowed to bring their own water. The exception is for medical requirements or formula. I suggest bringing a reusable water bottle. Guests are no longer permitted to bring bottled water (except to reconstitute formula), milk, juice boxes/pouches or soda on board. Very recent. I’ve just updated the post – thank you! My Mom just recently cruised with Norwegian in 2018 and she said they allowed 2 drinks per person when you return to the ship. These are fantastic tips… many I wasn’t aware of. Like I am always shy if my hubby wants to order an extra appetizer- Not anymore! Didn’t realize we could buy a bottle of wine and have it corked- so cool! And, I will be packing a euro adapter and highlighters on our upcoming sailing this May. Thank you!!! I used to be the same way about ordering extra food too. Now I look at it as a way to try foods I might not normally since I have a backup. You can also order a second meal, which they didn’t mention..if your greedy like me order 1-2-3 try different options !! !